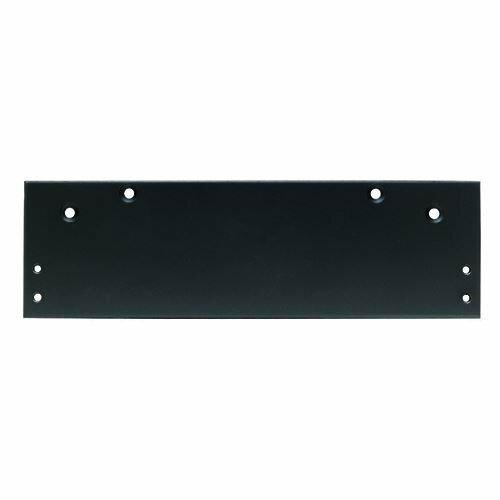 The drop plate for Tc400/500 series door closers is for use on top jamb mounts that have limited overhead clearance or it can be used on a regular arm to clear a mortised stop or holder. It can be used with any door closer that has a mounting pattern of: 11-3/32 inch horizontal mounting holes and 3/4 inch vertical mounting holes. Duronotic finish.